Mr. Bill ! Mr. Bill ! 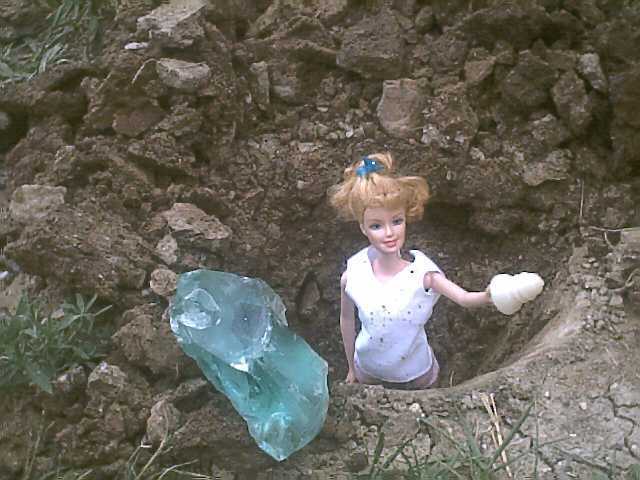 shouts Barbie as she emerges from a hole at the Hemingray plant in Muncie Indiana. Barbie finds a milkglass MR/Hemingray-42.